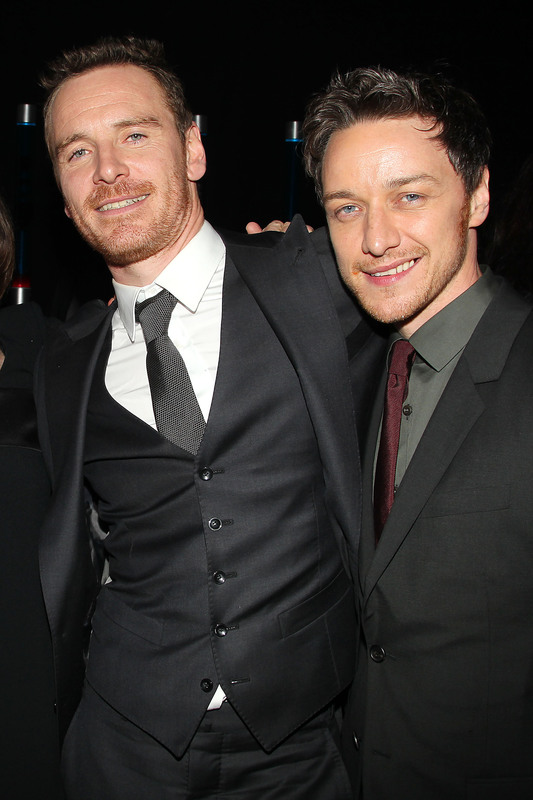 McFassy at the After Party. . HD Wallpaper and background images in the James McAvoy and Michael Fassbender club tagged: photo michael fassbender james mcavoy new york city premiere after party 2014. This James McAvoy and Michael Fassbender photo contains बिजनेस सूट, सूट, कपड़े का सूट, डबल छाती सूट, and डबल ब्रेस्टेड सूट. There might also be दो टुकड़ा, दो पीस सूट, लाउंज सूट, दो टुकड़े, दो टुकड़ा सूट, एकल छाती सूट, and सुस्त सूट.